This week, I decided I have been waiting long enough to show you a new do-it-yourself project! So that idea came up! Fridge magnets, who doesn’t need those? And seriously, these are much cuter than the yellowy ones from your insurance company! 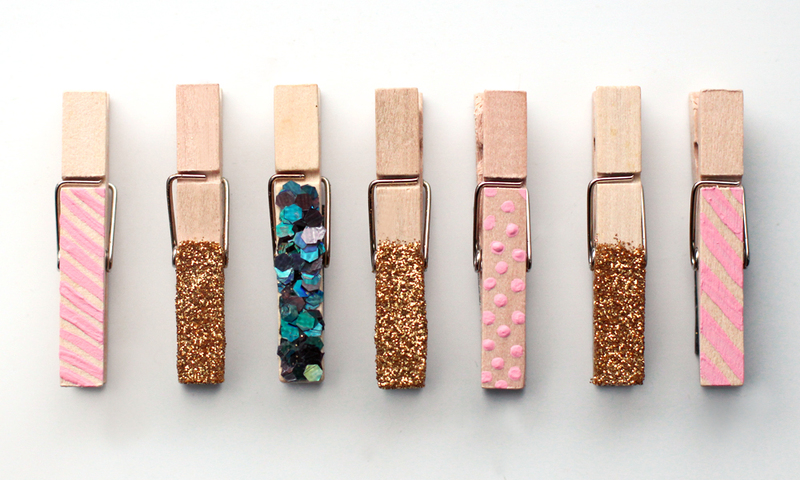 Fix a magnet strip on the back of a clothespin with its adhesive side. For the glittery ones: spread Mod Podge on the desired area. Make sure there is enough glue to cover all the area. 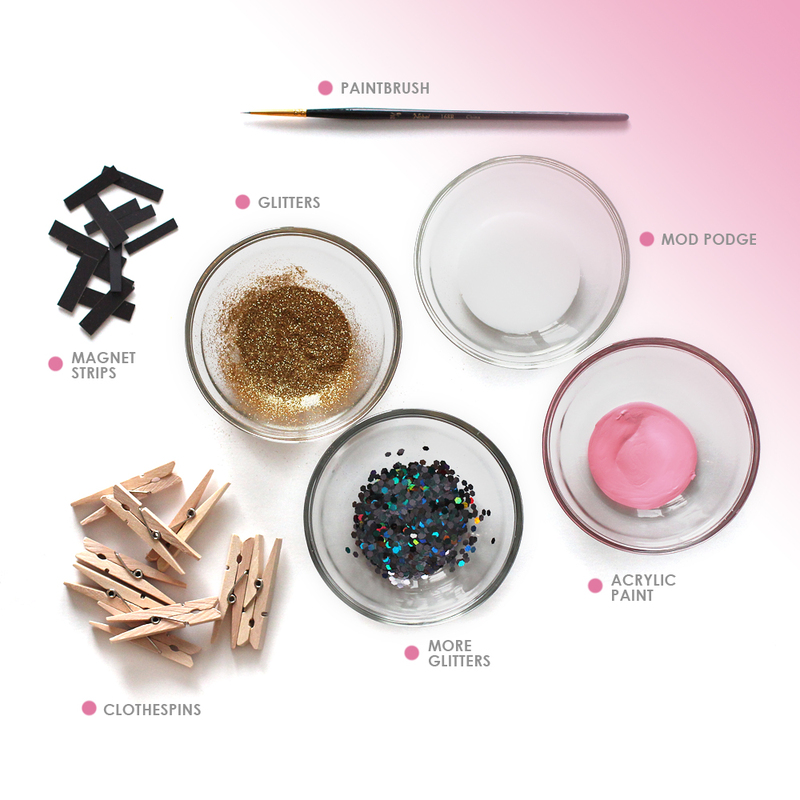 Pour glitters all over the glue until it is completely covered. Shake off excess. Let dry. For the painted ones: simply use a fine painbrush to paint patterns such as stripes or dots on top of the clothespin. Let dry. There you go! 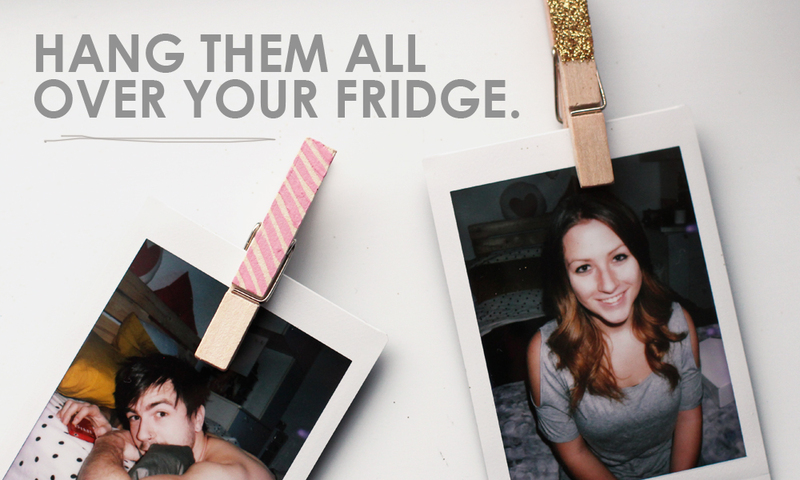 Very easy and quick, yet such a nice way to make your fridge less boring ! This is so cool! 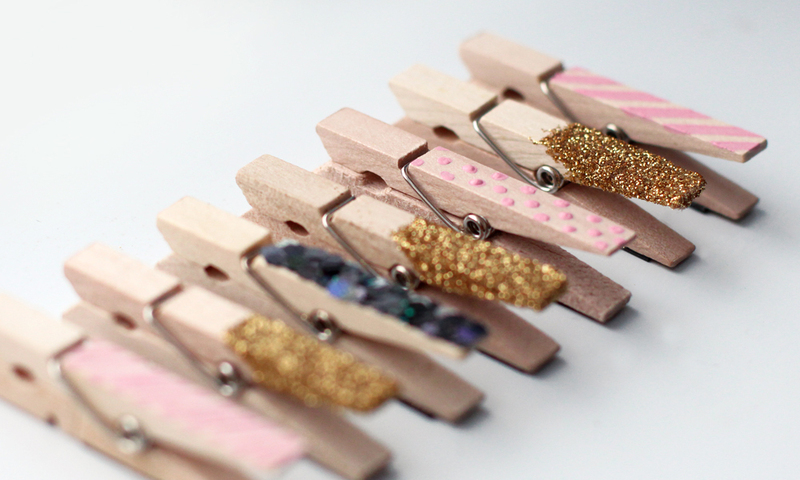 I never thought of crafting with clothes pins. Notify me of followup comments via e-mail. You can also <a href='http://coloursandbeyond.com/comment-subscriptions?srp=1793&srk=&sra=s&srsrc=f'>subscribe</a> without commenting.